Ricky Kej with Wouter Kellerman. 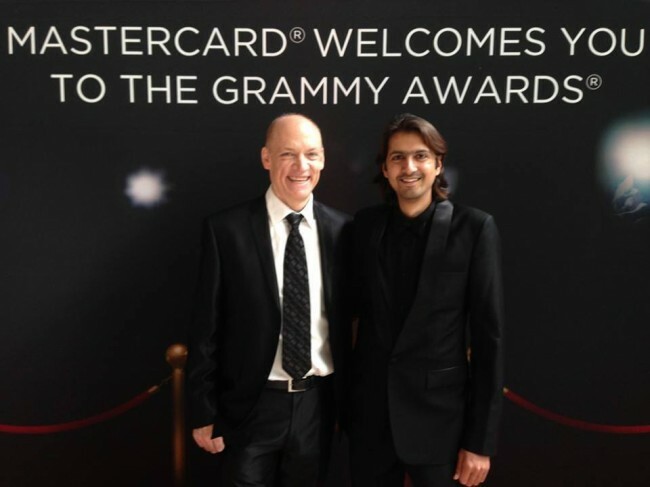 North Carolina born Ricky Kej is the first Indian to be No. 1 on the New Age Billboard! Ricky Kej asserts that he is every bit of an Indian, having been brought up in Bangalore since he was eight, and completing his scholastic journey with a degree in Dentistry that he has not practiced till date. The case of his nationality comes up for various reasons, its relevance to a story on Indian-Americans for this paper, among others. Ricky Kej was born in North Carolina. This entitled him to a coveted American passport. Kej however is nonchalant about it. “The American citizenship helps me cut through red tape in terms of signing up with associations in the US. Most of my life has been lived in Bangalore. I do not want to shift out of here. My music is Indian in nature and the musicians are here,” he says. 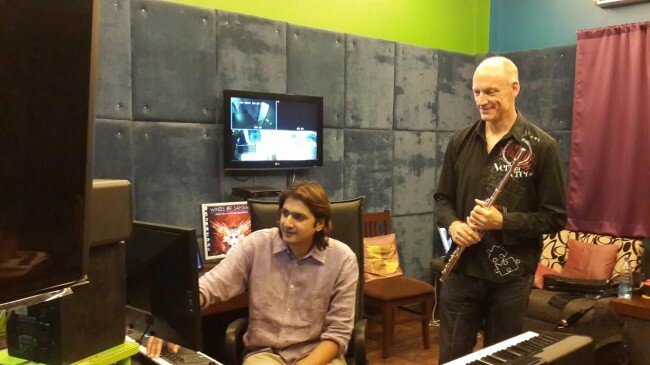 It is this music, a fusion across borders, a meeting of minds across space that catapulted Kej and his collaborator Wouter Kellerman, a renowned South African flautist, to the Billboard US Instrumental New Age Chart at Number One. The subsequent week saw the duo beat Yanni to the third position. For Kej, personal success apart, this has meant a vindication of his passion and talent. He reveals that his decision to follow a career in music was not easy for his parents to accept. While the dental degree came as a compromise, he followed his musical journey by training as a classical pianist and in Hindustani classical music. He eventually moved to the keyboard of which he is now considered a virtuoso. Commenting on riding the wave of topping the charts, Kej elucidates “Topping the radio charts proves that music can cross barriers. The emotive experience of music connects people.” Kej further expresses his gratitude to the select Indian musicians whose music has been popular both in eclectic as well as mainstream musical genres. He explains that New Age music, his kind of music making, is all encompassing where all instruments are used “without having a hummable song or a hook line”. The album title is a combination of the dialogue between the Indian philosophy of Samsara and the flute as a wind instrument. There is an underlying motif of peace and harmony in the songs, even in the one entitled Madeira. Kej says that they were inspired by the teachings of Mandela and Gandhi, who were both ahead of their times. Says Kej “We focused on the values they preached rather than on their activism”. Wouter Kellerman is scheduled to perform at the GrammyMuseum in Los Angeles on October 1st and the Carnegie Hall, New York on October 4th. He will also perform songs from the Album Winds of Samsara. Kej reveals that his commitments in India does not permit him to travel but plans a big concert in April 2015. Kej believes that the music he plays is one that concentrates on harmony rather than playing in unison. He believes that just like classical Indian music, his compositions seek to arrive at a conflict resolution. “I am doing my bit for peace” he laughs. If his story this far might seem like that of a rebel artiste who gets his way, there is nothing in his demeanor to indicate that he is an impoverished composer struggling to make it big. “I am lucky that my day job is in the same sphere as my passion,” he says as he juggles his inspirational compositions with TV jingles or film music some of which are popular. Kej by his own admission conducts corporate interactions and the marketing of his work with every know how and of what works in the business. “I’d rather be correct than creatively fantastic,” he confesses. Kej radiates confidence tempered with a desire for a harmonious existence in case of both his music as well as the world.